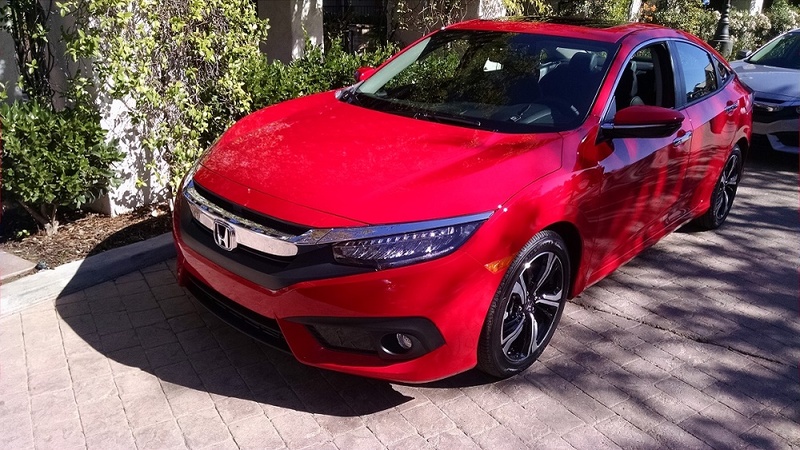 2016 Honda Civic Touring takes on Audi and BMW with exceptional styling and performance for under $25,000. 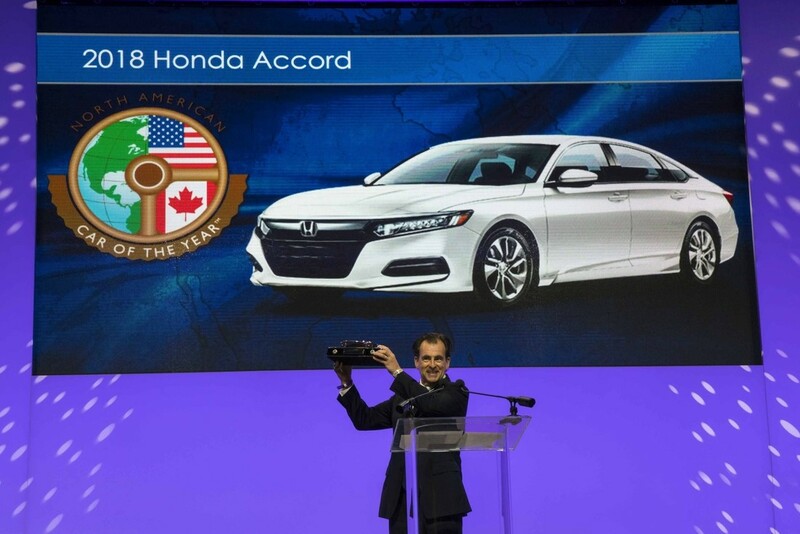 To say that American Honda Motor Company is on a roll,’ may be a gross understatement at this point. Coming off of record sales for 2015, the #4 best selling automotive brand in North America continues on an unprecedented reinvention of what may arguably be the most dynamic lineup in the maker’s history. That’s a big number for any maker. But to have the North America’s #1 selling SUV, compact and midsize car (retail) under one brand may be unprecedented in a world of 200+ brand name plates. Selling within 7,000 units of #1 Toyota Corolla in 2015, the newly platformed, redesigned and more powerful 2016 Civic is on course for surpassing Toyota Corolla with superior styling, standard featured active and passive safety features, greater fuel economy, horsepower and torque. This week in the news we find 2016 Civic named “North America Car of the Year,” and earning the IIHS ( Insurance Institute for Highway Safety) “Top Safety Pick +”rating for combined superior standard and optional safety features, (“ACE Body Structure,” “Honda Sensing” enabled accident avoidance, and top rated slight overlap frontal impact crash test ratings. What makes 2016 Civic superior in the compact sedan class for many may be those features that one doesn’t see and hopefully never needs. 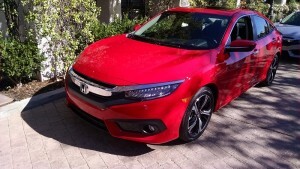 For us, the bonus here is Civic’s cutting edge good looks, new found interior quiet, refinement and uptick performance. Civic’s body and interior design effectively takes on Audi and BMW, doing so with a fully loaded MSRP of well under $25,000, something the competition can’t or won’t do. 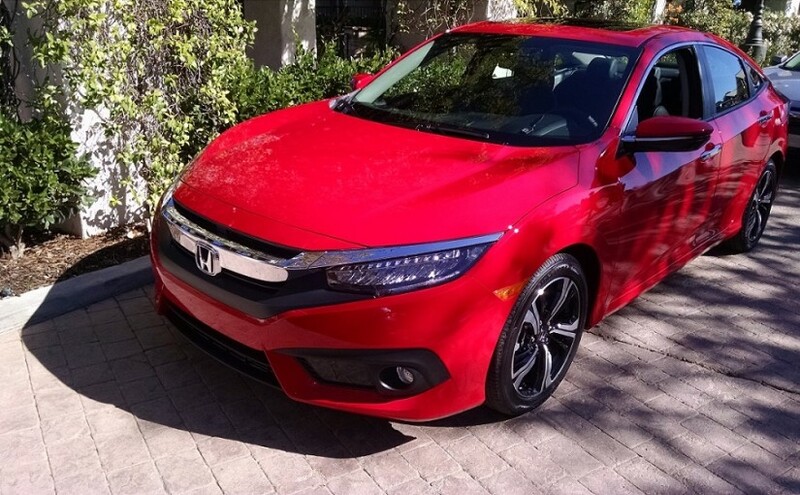 You may catch my latest 2016 Honda Civic first impressions drive review here.